We finally got to ride today. 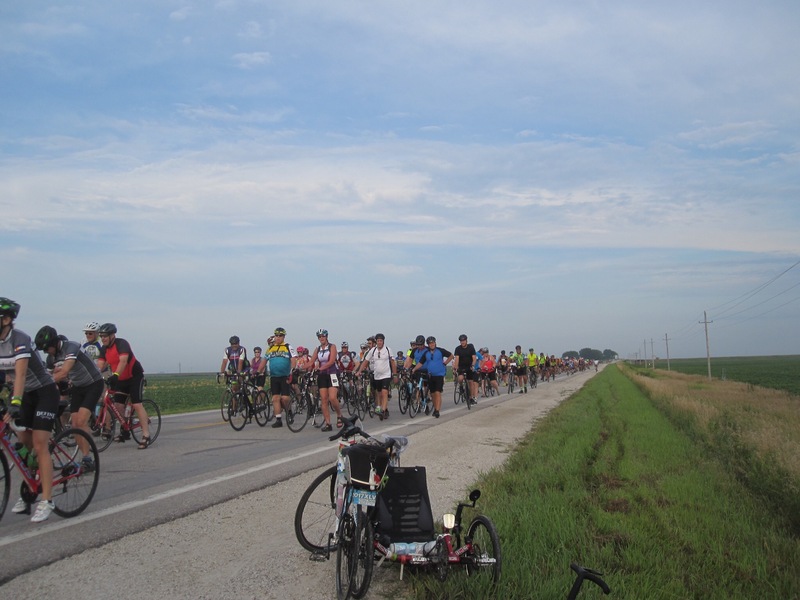 About 46 miles—a short RAGBRAI day. My team captain asked if it was what I expected. I’m not sure what I expected. This was the reality. Last night’s band, though several blocks away, was clearly audible until well past 11. Earplugs finally helped me sleep. I (and most of my fellow campers) awoke when a passing train whistled loudly shortly after 5 a.m. 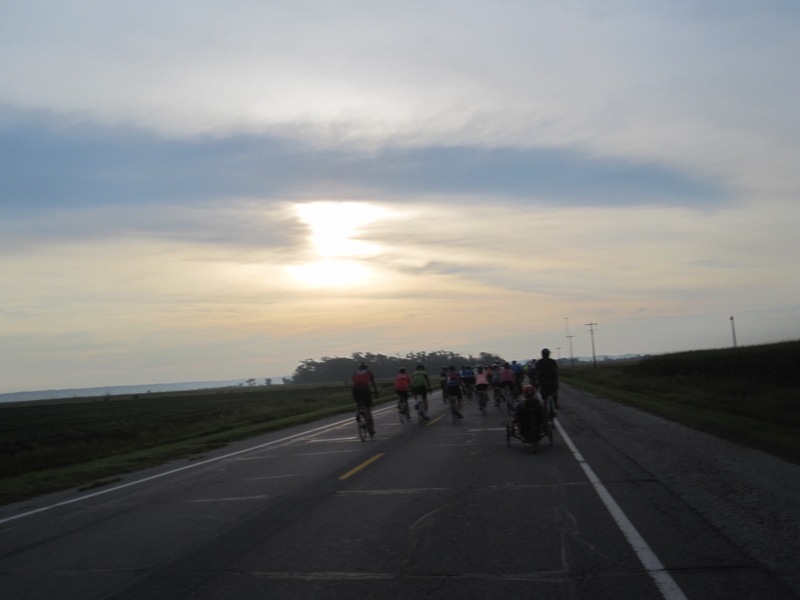 I packed up, got some coffee and fig bars, then started the route with my team. We didn’t stay together long, as it was next to impossible. 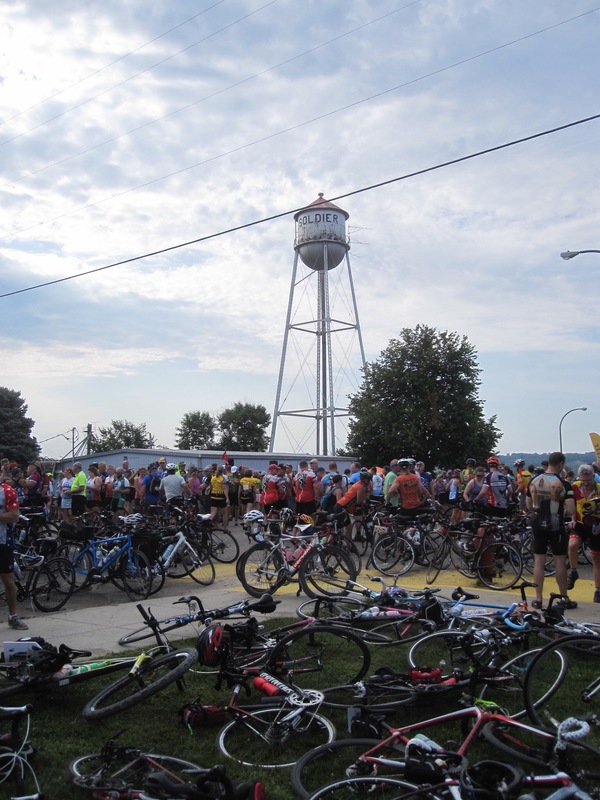 We didn’t intentionally stop in the first pass-through town, but it turns out you need to walk through all the pass-through towns due to congestion. The next town was Ute, which had lots of great looking food, but I wasn’t hungry. I still wasn’t hungry at the last town, Charter Oak. I was kind of hungry at the Craft Beer tent, but I still didn’t stop. Should have. Our ending town was Denison, but our charter (Brancel) had their campsite at Majestic Hills golf course outside of town. I arrived a while before my team, so I gathered my gear and set the wet tent bits out to dry. I acquired a beer and found the charter’s electron source for my nearly-dead phone and then waited. 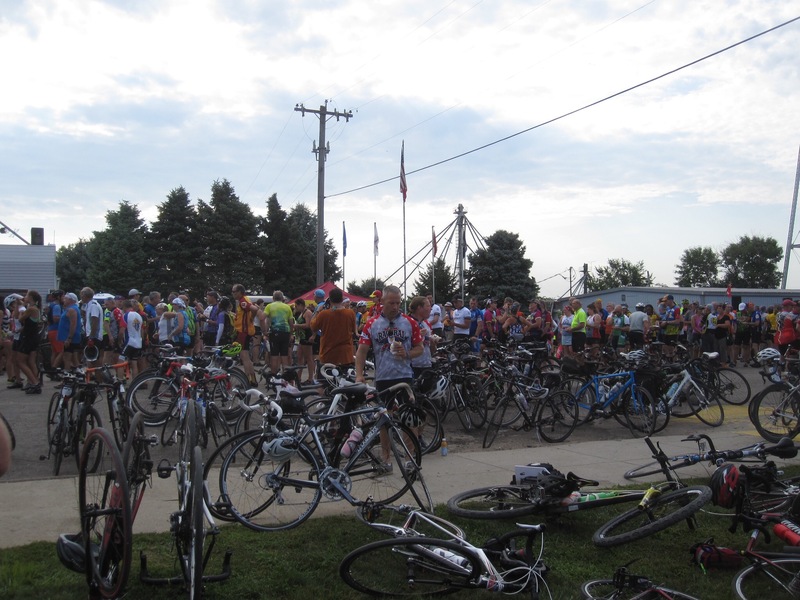 Once the team arrived, I finished setting up and had my first RAGBRAI shower truck experience. Not terrible, but not awesome either. Afterwards, I discovered there were root beer floats! Not Beekman’s, but super refreshing. It was still early, so we found some chairs outside the on-site hotel and sat for a bit. Dinner was also at the golf course—we skipped the Expo tonight. Aside from the longish wait (they were overwhelmed), it was quite good, and/or I was really hungry. I had fan-tail shrimp, baked potato, and an Exile Ruthie beer. 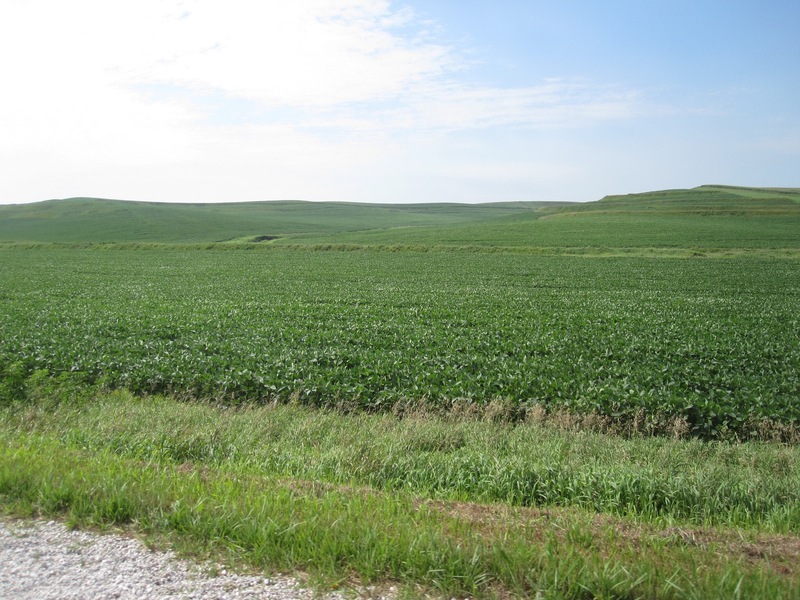 In other news, Iowa is much greener than Colorado. I remember getting overwhelmed by the crowds but after a couple of days, got the hang of it. Be sure to wear spf lip balm. We all had annoying sunburned lips!! Enjoy the food!